All hail the mighty brow. 1. Sweat-B-Gone. Your shiny, slippery forehead is the perfect runway for sweat to launch straight into your eyes, stinging and blinding you as you go about shoveling the driveway. Good thing your perfectly shaped eyebrows are there, staunch and hairy defenders of the eyeball, whisking away sweat and keeping you seeing. 2. Don’t look ridiculous. If you had no eyebrows, you’d sort of look like Whoopi Goldberg or the victim of a frat hazing that went too far. 3. Quiet talk. They say that 95% of all communication is non-verbal. You know, it’s less what you say, more how you say it. It’s your dress, your walk, your eyes, and the way you move your body. And if that’s true, what Body Prop comes in handier for this quiet talk than your ol’ eyebrows? Pop them up to show surprise, squint them tightly to show you ain’t happy, and maybe furrow one slightly to show you’re a bit confused. Eyebrows can help you say so much with so little. Although we may often forget it, our eyebrows are rocking the forehead from the day we’re born to the day we die. They soldier on in the sun, sleet, wind, and rain and need to look pretty doing it. They don’t take vacations and they don’t complain. So let’s give it up for our eyebrows, ladies and gentlemen. Let’s give it up for dry eyes. Let’s give it up for showing emotion. Let’s give it up for not looking ridiculous. And let’s give it up for love. My principal from grades 5-6 had her eyebrows tattooed on. They looked like of green/blue, like faded black ink. My biggest regret when I’m wearing a wooly hat for warmth is that my wide array of eyebrow expressions are lost. I love the idea of just tossing on a hat and becoming completely monotone. Sort of the opposite of Jeff from Today’s Special. Aha, this reminds me of this kid I often called “caterpillar” because of his big bushy eyebrows. cant forget about the well renowned unibrow for the ultimate eye protecting barrier. its funny when some people even manicure this facial monstrosity. Oh yeah, that’s incredible. Dry nose bridge! How come she has no eyebrows? 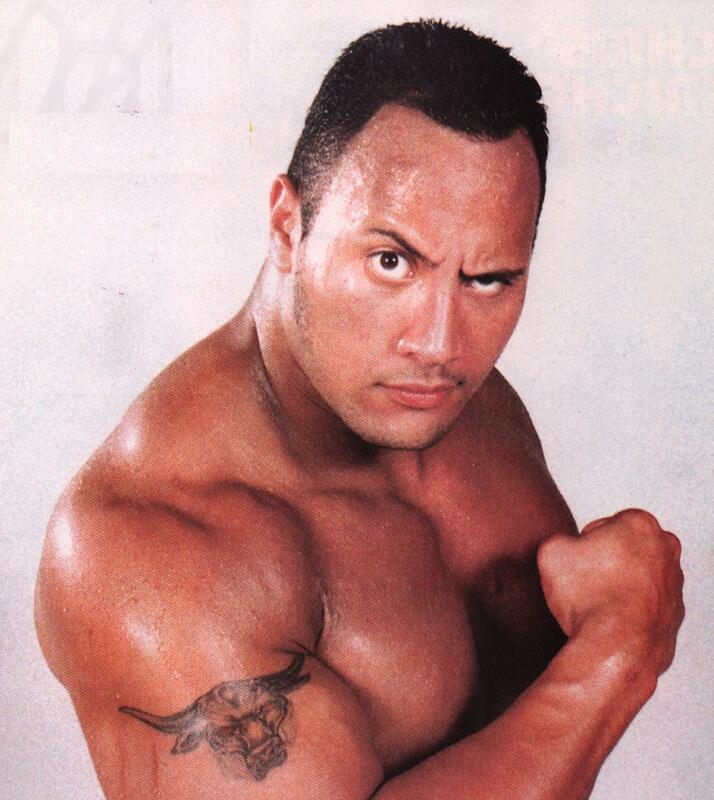 I can never move my eybrows like The Rock can. you just need to practice – I started at a young age after watching Ace Ventura. I’ll bet you weren’t offered that job for your sweet punctuating skills. Hey, just wondering, but who wrote this blog- thingy? picking your nose. the man couch. floss. salt. and basically…alot of stuff. to be fair, we don’t have eyebrows from the day we born, but they begin to grow in within a few months. your typo just made my day….. mucleus!! Hey, 87% of all statistics are made up on the spot! Sadly, I once shaved mine off! I was 13 and was under the impression from my “not so fashion conscious” mother that this is how you shaped them! At 13, that whole evening up each side thing can go on forever…until there is absolutely nothing left – and its the first day of the school camp! It was an embarrassing moment in my life that I had blocked out successfully until today…I shall teach my daughters the art of plucking and waxing! My great grandmother always got in trouble at school for for being rude to teachers. She finally figured out that it was because she couldnt control her eyebrows. Every time she didnt like something a teacher said it would show through one…raised…eyebrow. Eyebrows carry a lot of information about your identity, more than other facial features. When you see faces of familiar people with their eyebrows obscured, you are slower to recognize them than if they had say their eyes or mouth obscured. Just a tip from your friendly neighbourhood psychologist. Early on in our dating, I told my wife that she “didn’t have much in the way of eyebrows”. She found this a pretty weird quote, and we often repeat it back to each other… usually when I see her plucking her eyebrows thrice daily. It’s a weird compulsion for her. My Aunt Rose had her eyebrows burned off in a serious accident before I was born. I do remember sleeping over at her house when I was 3, and waking up right when she did. I asked her, “Nanny, where are your eyebrushes? (my name for eyebrows)” I had never seen her without them penciled on before. I just had mine waxed…I was looking like an 18th century Russian novelist!!! I went to have my eyebrows professionally threaded by an artist from India, and received one of the best compliments I’ve ever had, when she said, “Your eyebrows arc like rainbows. They are beautiful and perfect, “just as they are!” I figure this may be as close to the “Bridget Jones’ Diary” line I’ll ever get, so I’ll take it! kaliteli yağmur şemsiyesi modelleri üreten firma. My best friend and I have a thing about eyebrows. We figured out that I am a PRO at brow movement. I use my brows for everything. And when I’m writing and I can’t think of what to say, Or when I’m bored to death, I let my eyebrows have a fiesta. They like to tango all te way to a finished novel and great idea!!!!! Dies ist sehr nützlich für info.Thanks schreiben. Downton Abby – Carson the Butler has the best brows EVER!